SYNOPSIS: Eli Wallach and Julie Harris are shocked to discover their teen daughter tripping out on drugs. Turns out their family, and neighbors, aren't as squeaky clean as they thought. 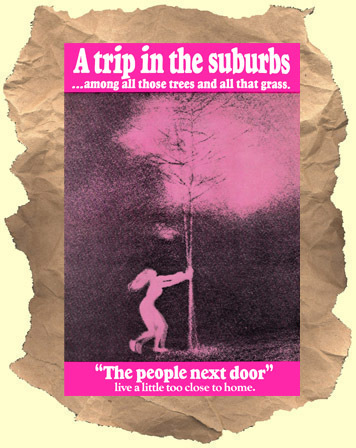 A peek into the underbelly of 70's suburbia. A "lost" cult film just looking to score an audience.